In his Pulitzer prized fiction Middlesex, Jeffrey Eugenides said: "Emotions, in my experience, aren't covered by single words. I don't believe in 'sadness', 'joy' or 'regret'. Maybe the best proof that the language is patriarchal is that it oversimplifies feeling. I'd like to have at my disposal complicated hybrid emotions, Germanic train-car constructions like, say, 'the happiness that attends disaster'. Or: 'the disappointment of sleeping with one's fantasy'. I'd like to show how 'intimations of mortality brought on by aging family members' connects with 'the hatred of mirrors that begins in middle age'. I'd like to have a word for 'the sadness inspired by failing restaurants' as well as for 'the excitement of getting a room with a mini bar'." In the last week of May I received my e-mail from Caroline Cembalo of Cembalolab. I was reading about La Mettrie who claimed that emotions are the result of physical changes in the body. I was thinking on our feelings and emotions as a human being. Apparently, emotions are not only covered by single words, the actual meaning of emotion has differed from Adorno to Kierkegaard. But, Caroline was on the same page with me. She wrote: "When I received Srajan’s emails, I was very glad to learn that you are interested in our new Hi-End headphone amplifier Spring 1. I know that you are the editor of Turkey's first and only hifi magazine and that you love music and the art of reproduction. I want to say that in our music reproduction pursuits, we are the same. I like what you wrote of music and art touching the soul and making life meaningful. It is Cembalo's pursuit that music reproduction have 'Real Emotion'." What is real emotion? For Cembalolab, the answer lies in their design philosophy: "We often ask ourselves, what really is the best playback device? According to Cembalo, the emotions at the heart of a musical performance are where the real charm and beauty are to be found. This has also been approved at the highest standard amongst playback devices. Cembalo, in its music playback pursuits, want to retain the true nature of the composition whilst transmitting the raw emotional intensity and passion of the music. It's just like being at a performance of Mozart's "Serenade in G major". With the resounding, bright and lively melodies of the major chords, our hearts become stirred and we are unable to resist singing and dancing along to the music. But if it suddenly changes to Chopin's "Nocturne in b Flat Minor", with the gentle restrained even melancholic and plaintive ambiance created by the minor chords, we can feel the grief and desolation of the composer. "But, in fact, a lot of expensive equipment makers are unable to fully grasp this simple concept. Some emphasize the resolution and soundstage but with the sound itself lacking emotion and feeling. Several others sound warm and sweet but lack vitality to produce a singular emotion which lacks authenticity. 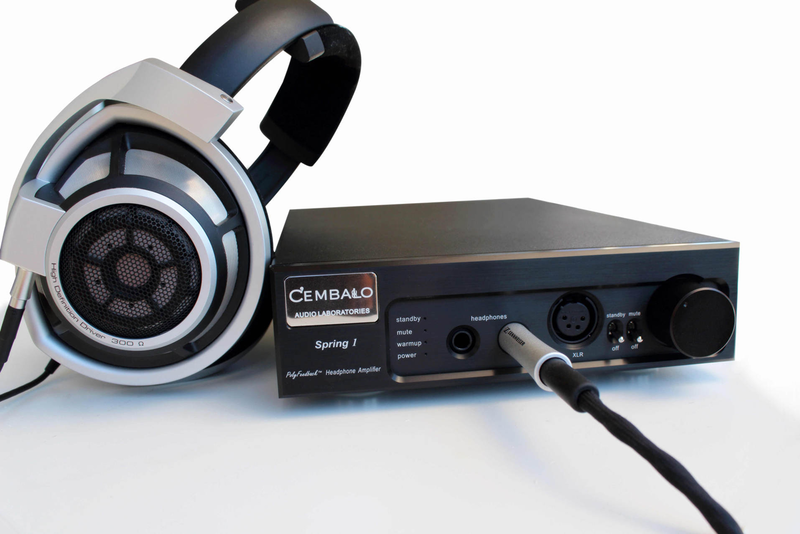 In Cembalo's way, audio reproduction is the art of music playback, expressing the emotion of the music and conveying the passion of the composition. Many compare the playback with live sound."